Our main products are high quality Equestrian Products, such as horse rugs (Horse Blanket), Horse Saddle Pad, Horse Halter , Horse Bandage, Horse Lead Rope, Horse Fly Mask, Horse Brush , Horse Hoof Pick, Horse Sweat Scraper, hay bag etc. 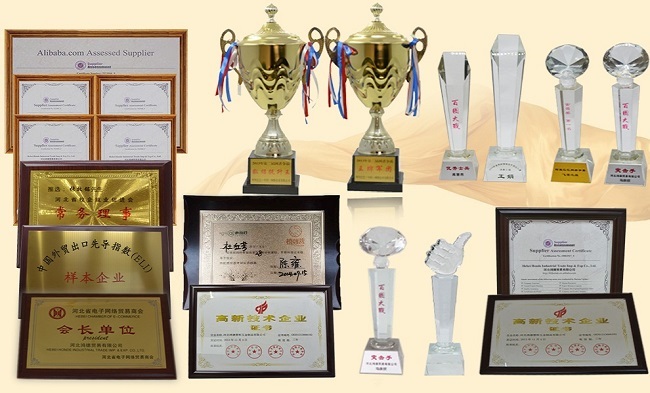 Having done import and export business for more than 10 years, we have obtained many trophies and certificates. Our mission is [Solutions, Service, and Satisfaction." Hebei Honde prides itself on the business principles of putting customers first, providing quality products to meet your needs, and establishing partnerships where both sides can benefit. We look forward to working together to achieve these goals with you.We are always here to serve for you.